In February and March various Panda Express restaurants were visited by Children’s Health in appreciation of their fundraising efforts in 2017. 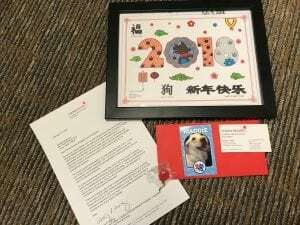 Employees from Panda Express received red balloon pins, artwork by kids, a trading card which highlighted our pet therapy dogs, and a personalized letter by the program director, Aracely Muñoz, highlighting the amount the store had raised. Associates were very excited to be recognized for their year-long fundraising efforts. 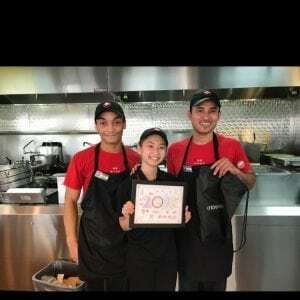 More than 40 Panda Express locations participated in employee giving and asking customers to ‘Round Up’. Panda Express restaurants raised over $236,000 and all the fund supported Children’s Health in 2017.